Save 65% and get free shipping with orders of $25! 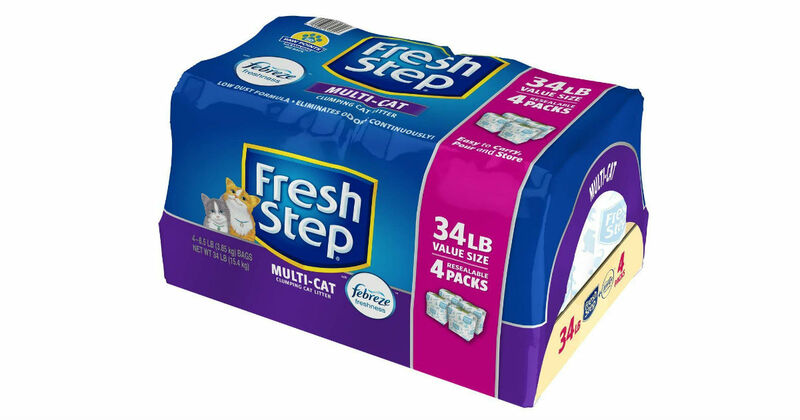 Score a 34-Pound Box of Fresh Step Multi-Cat Scented Litter with Febreze for only $12.25 shipped on Amazon, regularly $34.99. Fight litter box odors with the strength of Fresh Step Litter partnered with the power of Febreze in our easy to scoop, clumping clay cat litter in a clean, Fresh Scent!